Have you been having WAY too much fun with food and alcohol? Or maybe you feel bogged down by fertility drugs and need a hard reset to clean out your insides? 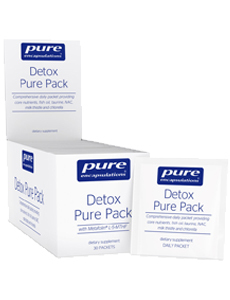 If so, the detox pure pack makes it simple easy by providing everything you need to detox in one easy to carry packet so small it kits in your favorite clutch. Check it out and ready to feel your best! What have you got to lose except maybe some toxins? Video coming soon explaining why this product can help you reset and get on track for your fertility journey.